Buckingham drive autos is a friendly professional Used Car Dealership based in the northern suburbs of Perth Western Australia. Owned and operated by Lee Jowett who has over 15 years experience in the Car Industry. When approaching the Dealership you can expect a service that is second to none. With a staff of 10 ranging from Salespeople, Mechanics, Business Managers and Administration. You can also get helpful and professional advice when purchasing your vehicle. The Dealership has a fully equipped mechancail workshop where all our vehicles receive a full mechanical inspection. As an Approved Selling Agent, Buckingham Drive Autos can provide you with access to AWN’s comprehensive range of extended vehicle warranty products and roadside assistance programs to suit your coverage requirements and budget, allowing you to choose the level of protection that best protects you against costly mechanical repairs. Not having your motor vehicle for any length of time is not an option. Unfortunately, no matter how well you look after your motor vehicle, your motor vehicles age, or travelled kilometres, unforeseen breakdowns can occur. 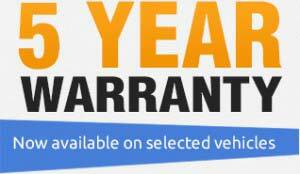 Secure peace of mind with unlimited kilometres and unlimited claims for the term of your extended warranty. Talk to one of our friendly sales team to find out how you can take advantage of mechanical breakdown protection with an AWN extended warranty and roadside assistance program.